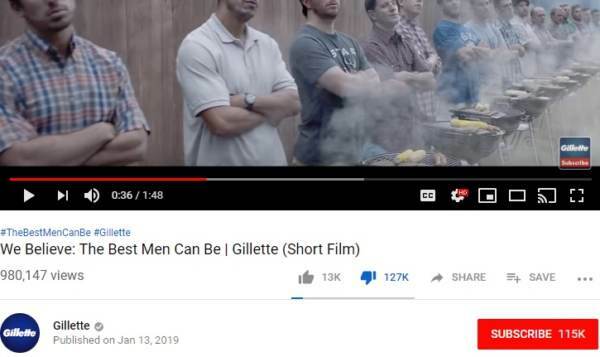 Proctor and Gamble and Gillette decided to run razor ads trashing men and “toxic” masculinity in their new ad campaign. The new ad also highlights sexist and bullying white males in the United States. Of the 43 abusive males in the ad – 42 are white. 7 of the hero men out of 8 are black. The ad is not doing so well with many users promising to avoid the product. So far the ad has 642,000 down votes. When you open the US Gillette website you get a pop-up lecturing ad on abusive male culture. 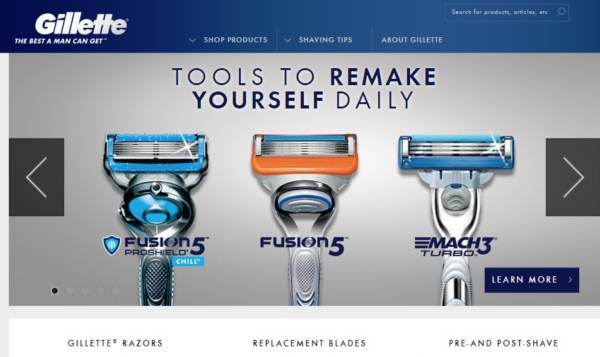 BUT — When you open the Gillette website for ANY OTHER MARKET — you will not see the anti-male ad! It’s ONLY US men they have a problem with. In Saudi Arabia today women are forced to wear burkas and men are taught how to properly beat their wives. So the “woke” anti-man campaign is only playing in the United States. The post Gillette Is Only Running Their Man-Hating Campaign in US – NOT in Saudi Arabia Where They Teach How to Properly Beat Your Wife appeared first on The Gateway Pundit.